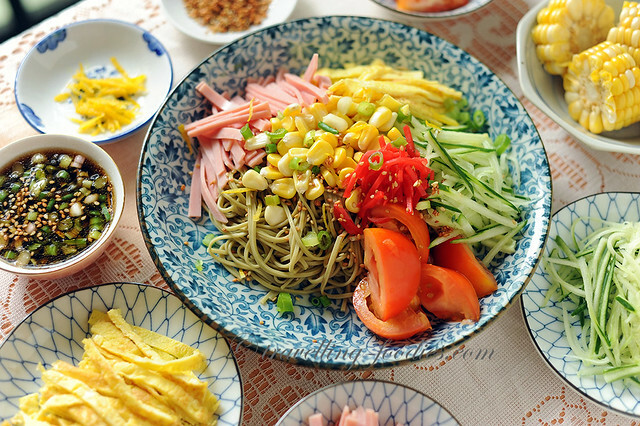 冷やし中華 Hiyashi Chuka literally meaning “chilled Chinese” is a popular Japanese noodle dish which is normally enjoyed during the summer months. Well, we don’t have distinct seasons in Singapore so all the more better as that meant we get to enjoy it all year round! Singapoeans love to visit Bangkok for authentic Thai massage, a truly ‘shop till you drop’ kinda experience and of course good and cheap Thai food but with the influx of numerous Japanese and Korean food joints into the Thai capital over the last couple of years, the options have now opened beyond just that wicked bowl of tom yum goong or collagen-packed plate of khao kha moo. 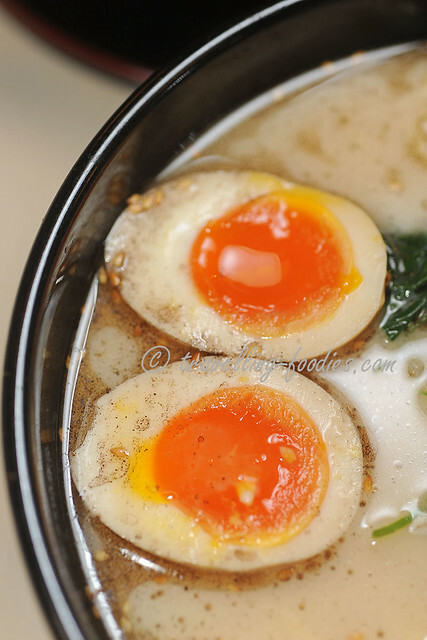 In our recent trip to Bangkok, we visited 麺屋 一燈 Menya Itto and here’s why you should too! 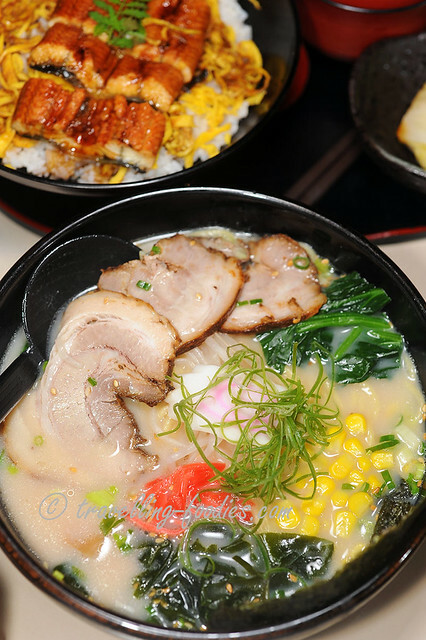 There had been an influx of 拉麵店 “ramen ten” opening in Hong Kong over the last couple of years. Some are “imported” like 一蘭 Ichiran while others are practically “homegrown”. Together with other related F&B joints from convenient conveyor sushi delis to haute restaurants offering more elaborated Kaiseki meals, Japanese cuisine has become integrated into the gastronomic landscape of Hong Kong and woven into the social fabric of the daily lives of the people. 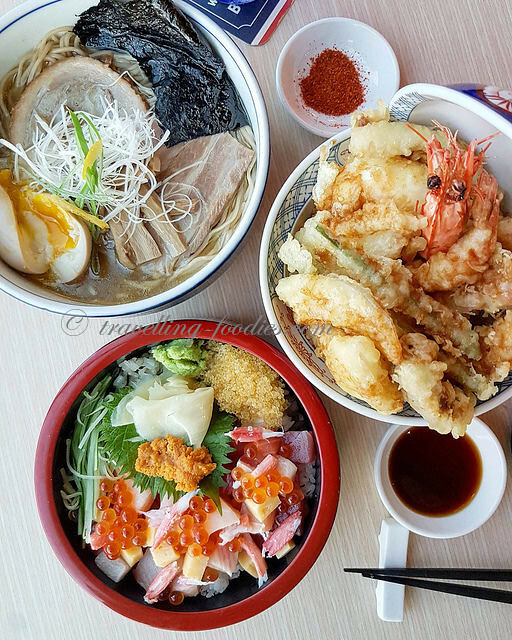 But way before all this Japanese food craze had begun, there are some restaurants which started way back and have since tamed the palates of the locals which helped to pave the way for those who reached the shores of the “Pearl of the Orient” subsequently. One of these early “settlers” is 橫綱拉麵 Yokozuna Ramen, opening back in 1987. 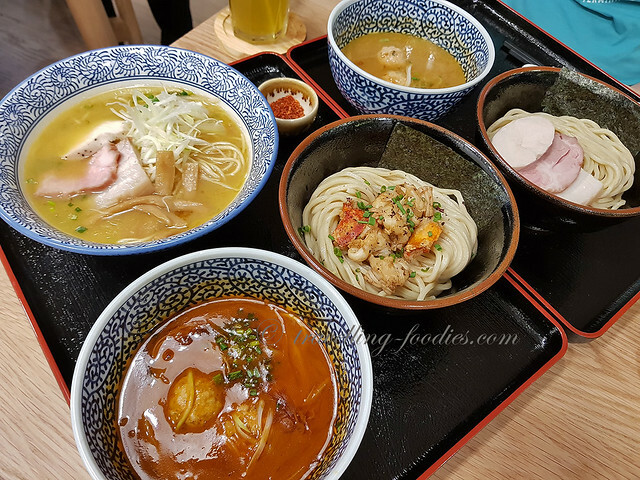 This year marks Yokozuna’s 30th anniversary as the first ramen ten opened by a “ninhonjin” in Hong Kong, so here’s a timely review on them. If you have not been there, read on to find out why you probably should. 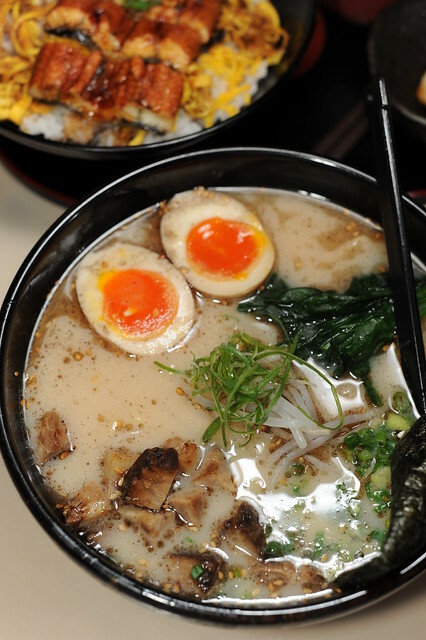 Yokozuna Ramen is opened by 山本浩一Yamamoto Koichi, a Japanese who came in search of business opportunities back in 1987, naming it after the highest rank in sumo wrestling, traditionally a national sport in Japan. Nested on 永星里 Wing Sing Lane, a very short side street along the forever busy Nathan Road in Yaumatei, the shop has gradually built a name for itself over the years attracting a steady crowd especially during the lunch and dinner peak hours. Yes we do see slightly shorter queues in recent years, given the wider range of choices available now with many more noodle joints with very similar concepts dotted all over the Kowloon Peninsula as well as on main island, there is usually still a crowd nonetheless so do expect a bit of a waiting time, especially when the small shop can accomodate no more than two dozen diners in it at one go. We tried the signature, 九州拉麵 Kyushu Ramen whose tonkotsu broth base is most definitely up our alley. 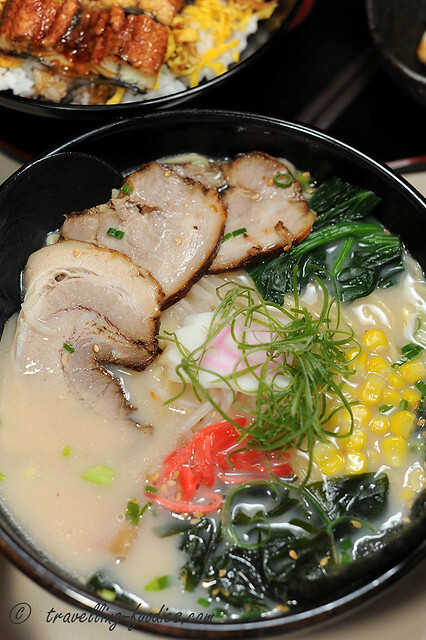 The noodles are typical of ramen from that region, Hakata style, i.e. long, thin and straight. They have a nice chew to it, cooked most timely and provided good “slurp” too. Rather generous with the toppings, very classically Hakata style too charsiu, beni shoga, and sesame seeds over poached spinach alongside corn, bamboo shoots, narutomaki and bean sprouts. Very thinly julienned negi leek, a testament to good knifework though I would have preferred it to be lesser “refined”. The broth was decent too, flavourful yet not too overwhelming. A little too “clean” and “healthy” for me though, being almost completely void of the little droplets of oil/rendered lard which one would find floating on a tonkotsu broth but still rather good nonetheless. The slices of char siu were more than just a condiment. Like the broth, the char siu is what constitute the soul of a bowl of good ramen. The char siu we had that day was very good. Wonderful ratio of meat and fat, very well braised to almost fork tender yet still able to retain their shape. Then we tried their 味玉拉麵, also tonkotsu based with a smaller spread of toppings but makes up for it with a generous amount of char siu chunks and of course the beautifully made 味玉子 ajitsuke tamago which lends this bowl of ramen its name. The char siu chunks had considerably more bite compared to the sliced version in the earlier bowl. Also they tasted a tad more “smokey” probably from a brief “aburi” treatment given which was a nice touch. The broth is slightly more satisfying than the first bowl though, with more dimension from, yes you’d guessed it, the oil! While the char siu chunks were very good, the stars of the bowl for us were clearly the egg halves. This ajitsuke tamago was probably the best we had eaten so far in all our ramen eating days, putting some of the others, even those we’d had in Japan to shame. The yolk was runny just the way we’d loved it and golden like a brilliant sunset. The white was firm yet wobbly at the same time, delightfully flavoured from the overnight steeping in the shoyu based marinade. In short, it was perfect, or perhaps a little more than perfect. I’d ordered a unadon as well to share. The rice was slightly softer and a tad mushy than what I would have liked though I absolutely loved the thinly sliced omelette which obviously had a higher yolk to white ratio from the gorgeous golden hues it carries. The chunks of unagi was decent but not quite stellar. Most definitely frozen and imported rather as with most and not “kabayaki-ed” in situ but it costed only a fraction of what one would have to pay in a proper unadon ten. 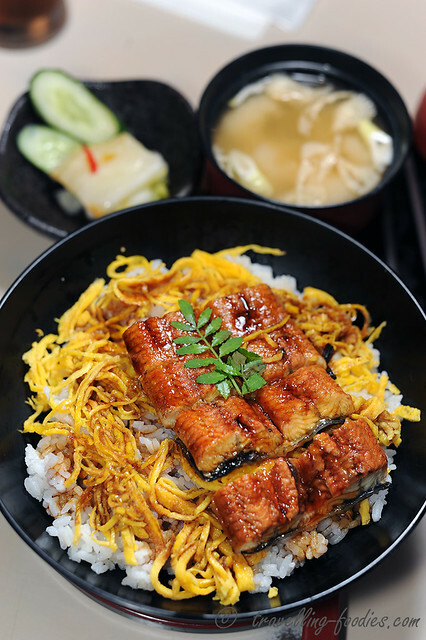 Only an additional HKD22, as a tag on to our bowl of ramen as a lunch set deal to be exact. What was more important to me was their devotion to details, as with that small sprig of 木の芽 kinome which seemed no more than an embellishment, not unlike curly parsley to most, was really what brought this seemingly ordinary bowl of unagi rice to possibly the next level. Kinome is the young shoot of the 山椒 sansho i.e. Japanese pepper plant. It sprouts as the days get warmer in spring, timely so as it was when we’d visited. I broke off the leaves from the stem, crushed them slightly by rubbing them between my fingertips and ate them together with the rice and grilled eel, to which those few leaves lend their unique aroma and flavours which helped set this dining experience at Yokozuna apart from my other unadon episodes, making it all the more memorable. 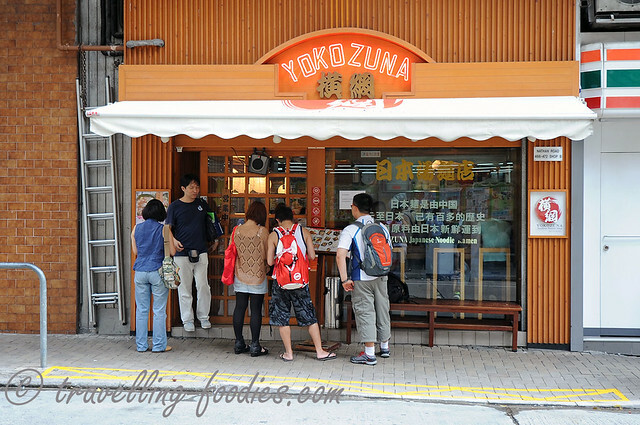 In summary, we’d enjoyed our dining experience at 橫綱拉麵 Yokozuna Ramen. Their ramen ain’t the best we’d tried but we loved the display of effort and attention to details to make things more pleasurable. The shop wasn’t that crowded when we went so do take it from us and try to avoid the meal peak hours when you visit.